Posh striker Conor Washington bursts through on the Millwall goal. Photo: Joe Dent/theposh.com. 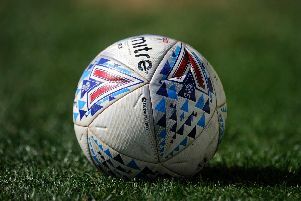 It was another miserabale night for Posh as they lost 1-0 in the first round of the Johnstone’s Paint Trophy at Millwall (September 1). A poor performance is reflected in the Peterborough Telegraph’s player marks. Michael Smith: (for Santos 65 mins).